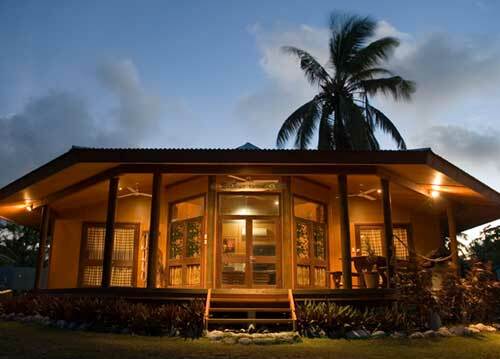 Choose one of our 2 holiday houses as your base to explore remote Cocos (Keeling) Islands. The houses are ideal for families or a small group of friends looking for affordable self contained accommodation. All holiday houses are within easy 10 minute walk from the West Island settlement / town centre. The booked accommodation is for the express use of checked in guests only and is not to be used for parties receptions or any other group function. A maximum of four additional persons may visit the the house however they must vacate the property by 10pm or as directed if disturbing other guests or neighbours. If booking is cancelled or significantly modified greater than 30 days prior to arrival we reserve the right to charge an administration fee of $100 / booking. As a remote location with replacement bookings difficult to achieve cancellation of the booking within 30 days of arrival will result in 100% loss. We recommend travel insurance to cover any unforeseen circumstances. Choose this option for 7 night stay and longer. My Island Home is a unique, architectural designed holiday accommodation for those searching for a comfortable secluded retreat. The home is fully furnished and self contained. Centrally located and surrounded by parklands it is only a short stroll to the ocean or lagoon. The home is ideal for honeymoon couples, small families or for those who want a little more seclusion. My Island Home sleeps four, or up to six people if both roll away beds are used. Two bedrooms with one queen size bed in the main bedroom.Second bedroom has 2 single beds. Roll-away beds available on request. Quality linen, towels and beach towels are supplied. Both bedrooms open up onto a large timber deck. Ceiling fans have been fitted to both bedrooms. Split system air conditioning to both bedrooms and lounge / kitchen.